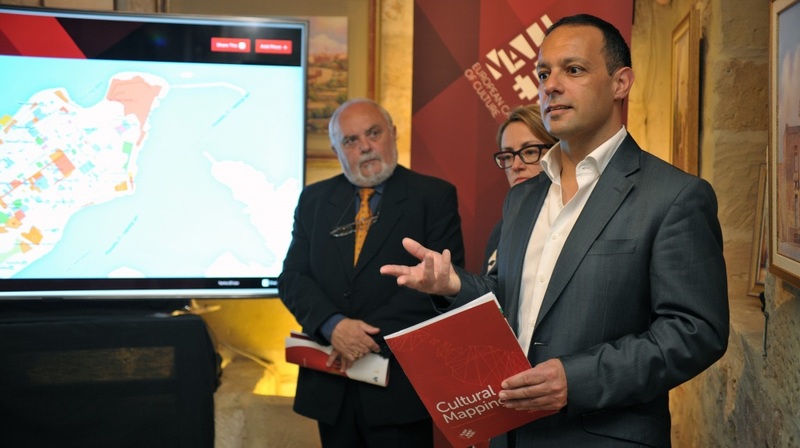 Valletta 2018 Chairman Jason Micallef at the Launch of Cultural Mapping Online Map last April. The annual Valletta 2018 international conference on Cultural Relations in Europe and the Mediterranean returns with its second conference, titled “Cultural Mapping: Debating Spaces and Places” on the 22nd and 23rd October at the Mediterranean Conference Centre in Valletta. The conference is being organised following last April’s launch of the online map www.culturemapmalta.com – which exhibits the data collected during the first phase of the Cultural Mapping project, led by the Valletta 2018 Foundation. Bringing together a number of international academics, researchers, cultural practitioners and artists, the conference will explore various exercises of cultural mapping taking place across the world. With the subject being relatively new to Malta, speakers will be discussing the role of cultural mapping within the fields of cultural policy, artistic practice, heritage and cultural identity, amongst others. Speakers include experts, academics, researchers and activists within the fields of tangible and intangible heritage, sustainable development, and cultural policy, both across Europe and the Mediterranean. Keynote speeches will be delivered by Prof. Pier Luigi Sacco, a cultural economist who will be presenting examples of cultural mapping taking place in Italy and Sweden, and Dr Aadel Essaadani, the Chairperson of the Arterial Network, a Morocco-based organisation that brings together art and culture practitioners across the African continent. The conference will also feature a series of parallel sessions, allowing researchers from across the globe to present examples of cultural mapping taking place in various European and non-European contexts. Parallel sessions will explore a broad range of issues, including the use of innovative digital technology within cultural mapping, the role of cultural mapping in participatory community-based work, and cultural mapping as a tool within artistic practice. Highlights include presentations of cultural mapping exercises taking place in Palestine, New York and Hong Kong, as well as in Malta and across Europe and the Mediterranean. The conference will be complemented by a site-specific installation by artist Trevor Borg and a series of short film screenings developed by conference presenters. Registration for the conference can be carried out through the Valletta 2018 website at www.valletta2018.org/cultural-mapping-debating-spaces-and-places. Registration closes on Friday 9th October. For further details call on 21242018 or email us at [email protected].